Tori Spelling, Hanna Griffiths, Jim Jordan Photography, Taryn Manning, Denise Fleming & Karina Smirnoff, – they all agree that Miranda is the real deal! Your Kiss has something to say | Are you listening? Most folks know or have experienced a palm or a tarot card reader before. Both methods have a long history. Your hands show the path you are currently on and your feet where you have walked in life. Add your lips with a kiss and you have the Kiss Whisperer. Why lips? Lips are the most sensual body part. Haven’t you ever wondered where “Sealed with a Kiss” originated from?” Or “My Lips are Sealed?” Miranda has proven abilities to “unlock” the mysteries behind a “Kiss.” Celebrities, VIPs and Luxury Brands trust Miranda to deliver the goods, with a kiss of course. Why lipstick? Kylie Jenner sold out of her new lipstick line within minutes of her debut. Other Fashionistas have followed suit. What’s next? A lipstick reading of course. 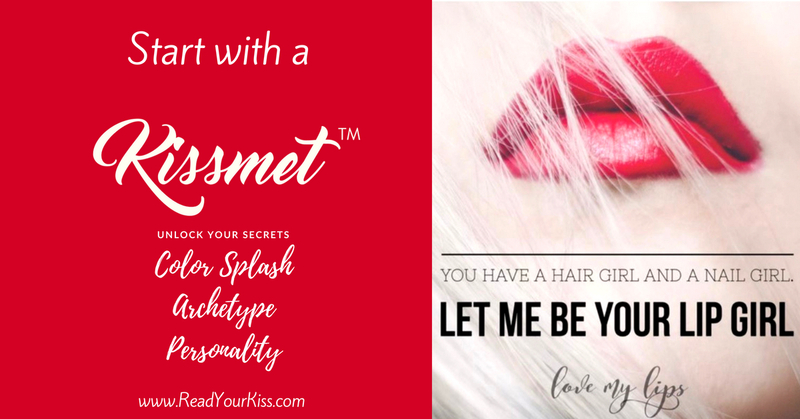 Why get another ho-hum entertainer when you can have it all with a KISSmet™ of the Official Lipstick Reader. 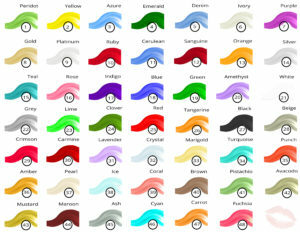 And for the gentlemen, we offer hip colors and/or digital prints with all the other goodies. New York has the Long Island Medium and Hollywood the Celebrity Clairvoyant, now presenting the hottest and unique class act with a kiss is Miranda. Turn your event into the extravaganza your hard work deserves. What is in a kiss? Q: Why did you create the Official Lipstick Reading? A: I have always been fascinated with the “Kiss.” I grew up in foster homes and spent more time with my mother as an adult than as a child. I do remember my mother applying her makeup flawlessly and being meticulous with her lipstick. I was fascinated. I too wanted to be beautiful like my mother and would sneak into her room and experiment. Needless to say, I looked more like a clown than a beautiful lady. When I did live at home, my mother would always kiss me goodnight and say “Good night, sleep tight, don’t let the bed bugs bite.” Those times were my fondest memories as a child. When I lived in foster and group homes, we all had one thing in common. Missing our mothers, and our kiss goodnight. Even those who didn’t know their mothers, they too longed for a kiss goodnight. It said someone cared for us. We mattered. As I aged up, instead of being kissed goodnight, I gave the younger children their kiss goodnight and whispered my mother’s words. One other memory I have of my mother was her telling me “Always wear lipstick in public. You never know where you will end up or who is watching you. And lipstick changes lives.” It sure does. Q: When did you discover you were an intuitive? A: I always had conversations that no one else could see or hear. I was asked often who was I talking to and made fun of by adults and kids. I heard that I was crazy often. I learned to have my conversations without moving my lips and not say a word out loud. I never really paid attention to those voices until my mother passed away. One sunny day in New Mexico, I was about 8 years old, my mother seemed quite sad. I asked her what was wrong. When my mother cried, I too cried and could feel my tears running down my cheeks. She said she was so sorry she could not take care of me in this life but she would be gone soon and she would do a much better job where she was going. I did not think much of her words until her death at 52-years-old. It was sudden and unexpected. I didn’t have a chance to say goodbye or that I loved her. She came to me before they had even moved her to the mortuary. I could feel and hear her clearly. She landed on my left shoulder. With the sudden death of my daughter at 34 years old, I felt so broken and seriously considered to not do my readings any longer. How could I read others and help them when I could not see and help my daughter? She too came to me but not until her funeral with family and friends. When her casket was closed I felt her. She landed on my right shoulder. I now have balance. I say it is my mother’s butterfly kisses with my daughter’s angel wings. And I have been more in tune and accurate with my readings than ever before. Guests receive their personal reading of a trifecta with three generations: Nora Miranda, Anita Miranda and Miranda Foster. Q: What makes the OLR different and unique? 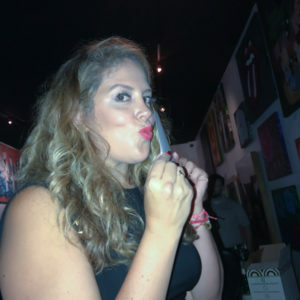 A: The Official Lipstick Reader is a highly amusing interactive entertainer that will have guests intrigued, excited, and talking about their “KISS” experience. 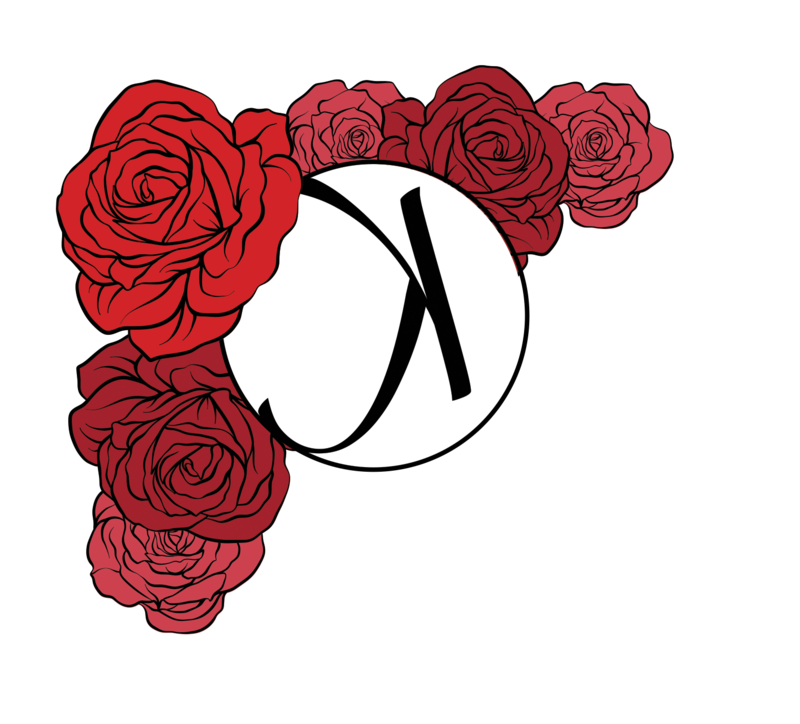 I created and customized my techniques to develop KISSmet™ proprietary methods – the only one in the world that offers readings forensically, intuitively, and digitally to guests of any gender. Each show, small or large, is uniquely designed for any audience. FORENSICS & INTUITION After receiving my very own lip print reading 10 years ago, I felt there was so much more to unlocking a “Kiss.” I took it a few steps further. Adding to the forensics I just experienced, I once again heard the whispers reminding me of my intuitive gifts from three generations. I learned how to read the journey, the past to present, and predictions for the future. “Is your past holding you back,” “Are you waiting for life to happen,” and “Is there a true love in your future” are common questions that I am able to interpret through a kiss. EMOTION & INSIGHT Lip prints are similar to fingerprints, except fingerprints do not change. Lip prints change with education, information, and emotions. After a reading, I often ask the guest to do one more kiss. They are shocked to see a big difference. This is better than truth serum, so I am told. Another secret about my kiss whispers, I do not tell anyone anything they do not already know. Sometimes it is hidden, forgotten, or asleep. I call this the Aha Whisper. When a guest knows exactly what I see in their imprint, you see the “Aha” moment. Tears of relief are most common. My readings give clarity to find joy, love, happiness, direction, decisiveness, forgiveness, and peace. This is why I do what I do. DIGITAL & MORE Starting with a ReadYourKiss.com a free sample prior to having their lip print read by the Official Lipstick Reader, each guest (yes the fellas too), receives a branded complimentary lipstick, lip print kissing card, a chocolate kiss, and Wish Kiss Bracelet, all included in a SWAG. 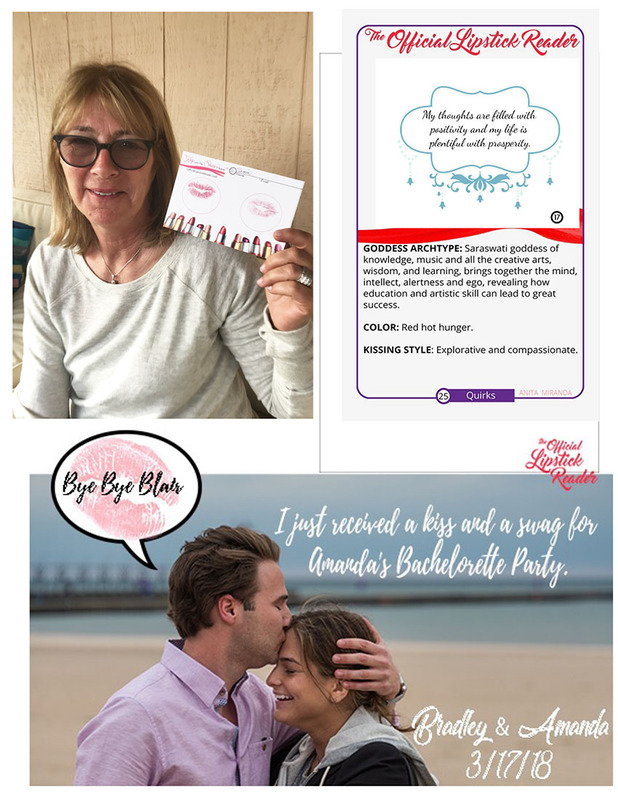 Their personal reading is delivered instantly with a branded digital card with the party details. 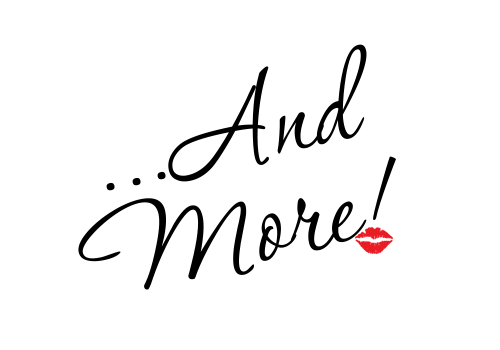 Services of choice include a kissing booth, team building activities, keynote, kiss workshops, personal readings, and event entertainment. Official Lipstick Readings are never the same twice – guaranteed! Q: Can you share with guests what is it? A: Basically, apply lipstick to your pucker. Kiss a blank piece of paper twice, sign your first name, and enjoy your reading. Q: Is it really that easy? A: For the recipient, yes it is that easy. As a Kiss Whisperer, many details, plus connecting to spirit to attain the most accurate reading is the gift. We all have our intuition. Some say women are more in tune with theirs. Is this evolution or biology? That is still a disputed question. As facial expressions are tied to our inner emotions, and our emotions rule so much of our behavior, studying body language and facial expressions give an insight into the reasons for our actions. Lipstick tells a story about the person wearing it. And a kiss imprint shares the journey. 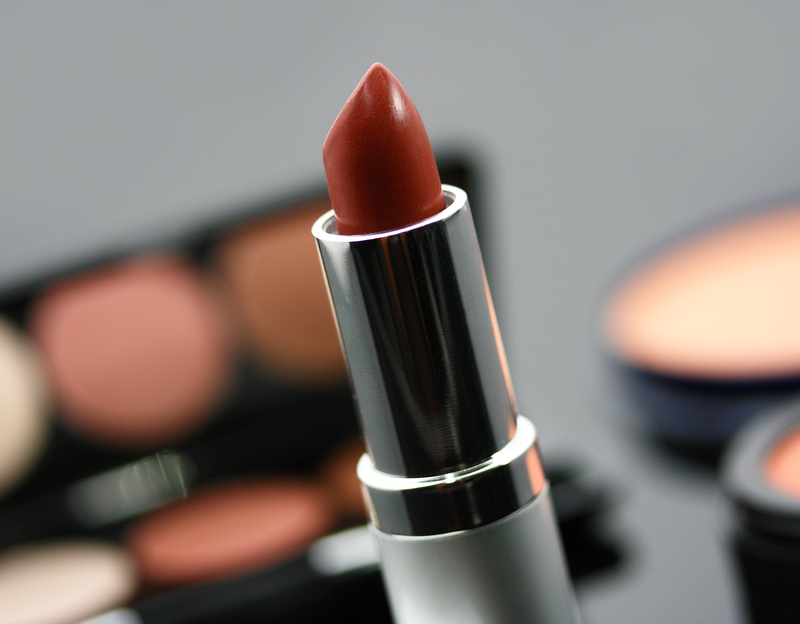 The most essential of makeup products, lipstick creates for its wearer much more than a colorful smile. As much as it provides in terms of surface-level beauty, properly selected lipstick also highlights certain unique properties inherent in all lips within rests the potential for something far more elemental in nature. 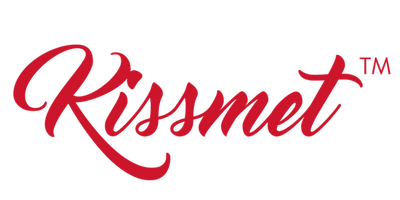 By earning a Bachelor’s degree in Marketing followed by a Master’s degree in Education, I knew I had to find a way to capture the reading digitally and with KISSmet™, the sweet spot was created. From the Ward of the Court to the CEO of her own boardroom, Miranda never imagined herself to be anything but ordinary. A “Mother’s Kiss Goodnight” is the journey of how a memory seemingly unimportant would make a difference. Thus, giving Miranda a purpose and direction in life to provide intuitive insightful readings. Instead of being another statistic, she has proven yet again how to be resilient and breathe life into something brilliant and unique. Miranda shares how her mother never left her, always believed in her and whispers daily her wisdom to share with others. And recently with the sudden passing of her daughter, Miranda has learned to trust again with her daughter’s angel wings. To learn more, ask about “Butterfly Kisses” in the Contact Us tab. Miranda is a United States Navy Veteran who learned to use weapons to defend herself and our country. 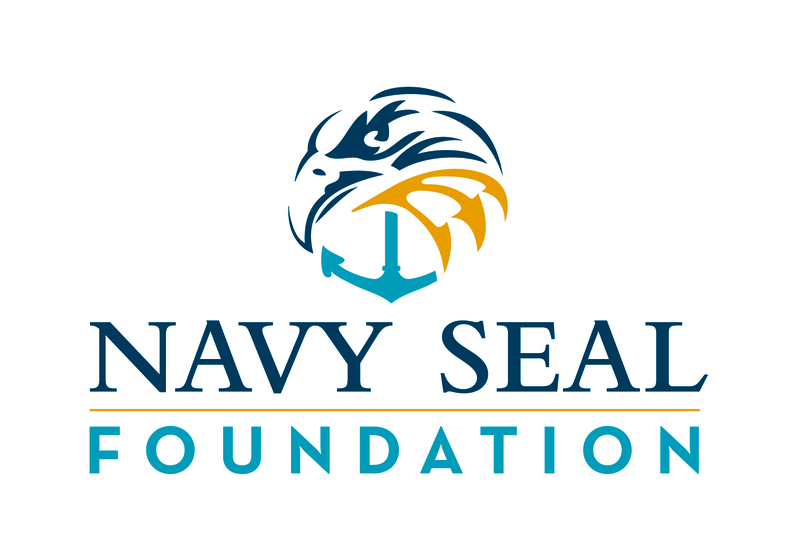 While she desired to make a difference and leave a legacy, she didn’t know how to do this after suffering, and learning that she would have PTSD for the rest of her life. She was devastated. Miranda’s past reads like a “Made for TV” saga. Growing up in the Foster Care System, Miranda slept in many different beds in various places with other children. She learned that they all had one thing in common, a kiss goodnight. The older children took it upon themselves to kiss the younger children goodnight. Miranda then stepped into this role. This began the fascination with the human kiss. Miranda turned a possible life debilitating diagnosis from resilience to brilliance by using her hypervigilance to connect with others through their kiss. To this day, Miranda carries a blotted print from her mother’s lips reminding her of that special caring connection. Miranda became enchanted with the kiss. Introducing the Official Lipstick Reader— to heal the world with kisses, two kisses at a time. The only lipstick print reader in the world to offer—forensics, intuitive and digital imprint readings instantly as a lifetime keepsake. Beginning with an official baby’s first footprint, introducing the first official lip print. Have You Had Your Kiss Today? We provide a kissing booth as your headline entertainer and include the set up of beautifully crafted branded (client’s logo) digital kissing cards, lipsticks, a chocolate kiss all in a SWAG bag. For smaller venues, you provide a table top and chairs. 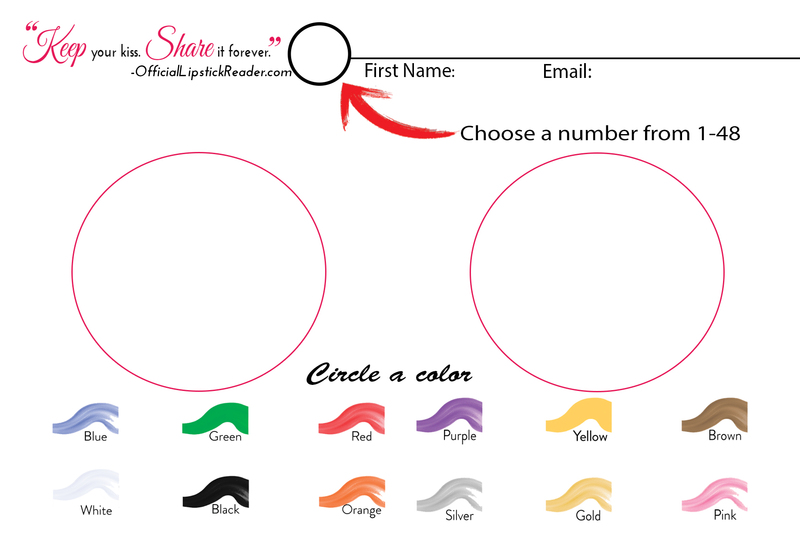 We make it easy, fun and unique for each event. 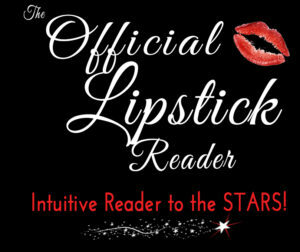 We offer 5 types of readings in each lipstick reading. This is it. One of a kind. The lipstick imprint reader will share the past, present, and future. Plus the journey traveled and yet to cross. Care to have a kiss on us? We would be happy to visit you and your team to sample the goods. Careful ladies, you just might get hooked on a first kiss. All brave men welcome.